Where should I start? With a failed attempted run this morning that lead to me puking and falling back to sleep for two hours? I’m unsure if I ate an awful apricot or I accidentally OD’d myself with a drugstore of meds I took last night. Either way, I felt terrible. Bug kissed me good-bye around 9:30, set the alarm for me, and disappeared back to the US. I had to get up. I had plans with Veronica at noon, and despite feeling terrible, pulled myself together enough to stumble down the block for a light snack. Seeing V always cheers me up, and by the time I had to leave, I already felt better physically and mentally. But…I stayed too long and had to hustle to the airport. I conveniently forgot how long it takes to walk through Chatalet and that I needed to buy RER tickets. So…I was a tiny bit late picking ERIN up from the airport (I hate being late for anything, and was pissed at the train for making so many stops – lol). Erin is a Paris virgin, and I am thrilled I get to show it off to her. 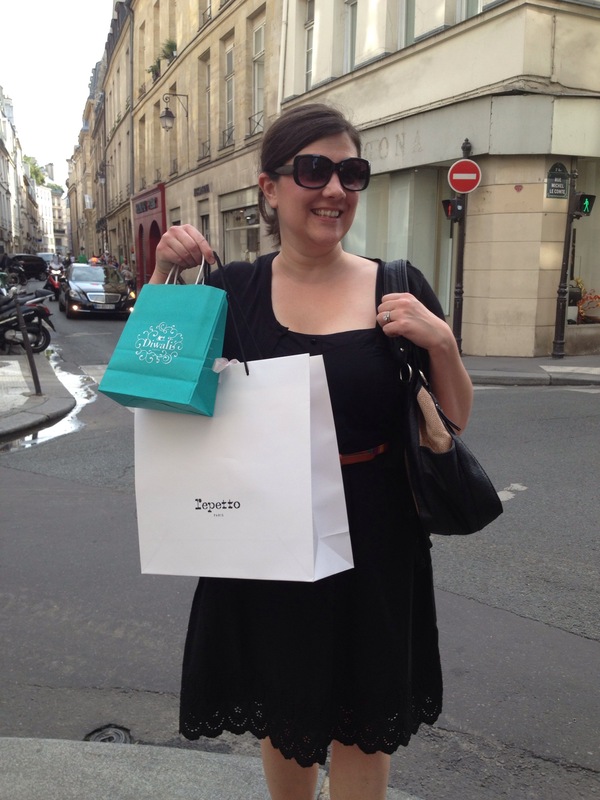 After settling in, the first thing we did was hit Repetto for new shoes. She got the cutest black ballet flats with SPARKLES. If we wore the same size, I’d totally steal them. Next we had schwarma for lunch, hit BHV so I could pick up a few things, strolled down toward the Seine, hit Dawali so Erin could get a new summer weight scarf, and made our way back to my apartment. 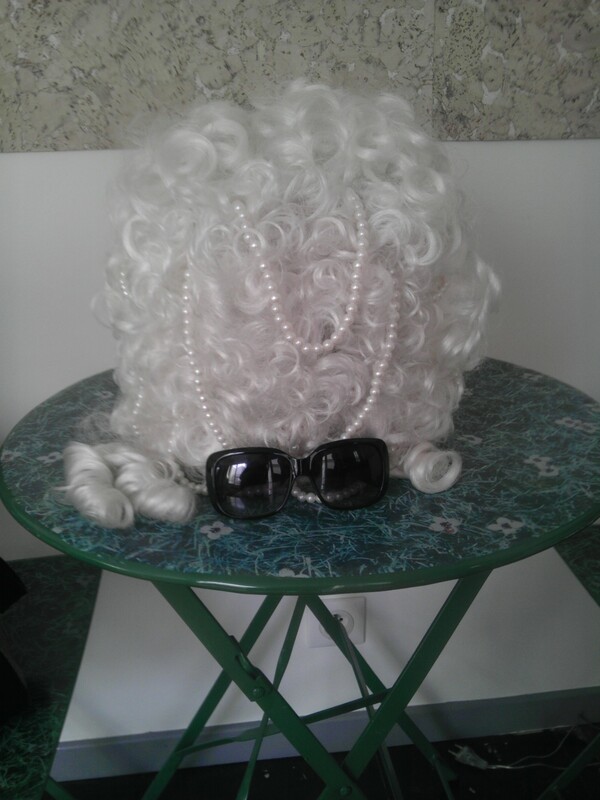 We’ve declared the wig the official mascot of Erin’s trip. Like a garden gnome, it will turn up in all kinds of places. Tomorrow, we’re off to the d’Orsay museum (I can’t wait – it’s my favorite museum) and have writing time planned for the major storm that’s supposed to hit in the afternoon.